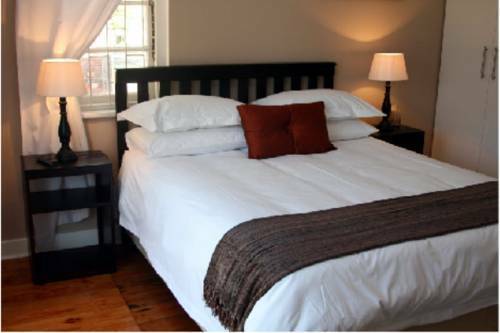 Absolute Cornwall Bed and Breakfast East London, Hotel Republic of South Africa. Limited Time Offer! Absolute Cornwall Bed and Breakfast. "Absolute Cornwall Bed and Breakfast" has acquired 3 stars. The residence is a perfect base point for exploring East London. This residence has its own restaurant for your gustatory enjoyment. For a drink after a long day, visitors will find the bar most welcoming. Breakfast is served each morning to provide you with a good start to the day. Just a 2-minute drive from the beach of East London, Kennington Palms B&B provides secure off-street parking and a garden with a pool. All rooms and apartments have garden views and a private patio.